For our customers, we have in store, Water Treatment Spares and other accessories which are widely used in various applications. 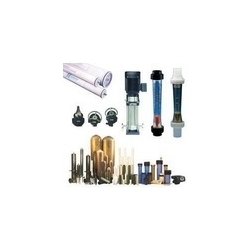 Our wide range of Water treatment spares are made up of quality raw material and latest process technology that are procured from reliable vendors. All of these accessories offered by us are highly appreciated among customers due to their durability, quality performance and longevity. Unbelievable price on Water Treatment Spares in New Delhi (India) company Watco India, Private Limited.